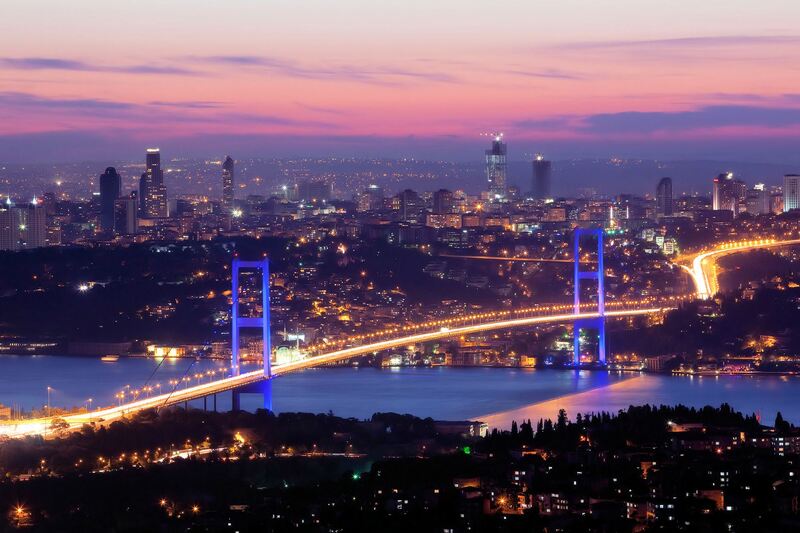 ISTANBUL, is the largest city in Turkey, constituting the country’s economic, cultural, and historical heart. With a population of 14 million, the city forms one of the largest urban agglomerations in Europe and is among the largest cities in the worldby population within city limits. Istanbul’s vast area of 5,343 square kilometers (2,063 sq mi) is coterminous with Istanbul Province, of which the city is the administrative capital. Istanbul is a transcontinental city, straddling the Bosphorus—one of the world’s busiest waterways—in northwestern Turkey, between the Sea of Marmara and the Black Sea. Its commercial and historical center lies in Europe, while a third of its population lives in Asia. Istanbul’s strategic position along the historic Silk Road, rail networks to Europe and the Middle East, and the only sea route between the Black Sea and the Mediterranean have helped foster an eclectic populace, although less so since the establishment of the Republic in 1923. The city’s biggest draw remains its historic center, partially listed as a UNESCO World Heritage Site, but its cultural and entertainment hub can be found across the city’s natural harbor, the Golden Horn, in the Beyoğlu district. Considered a global city, Istanbul hosts the headquarters of many Turkish companies and media outlets and accounts for more than a quarter of the country’s gross domestic product. Hoping to capitalize on its revitalization and rapid expansion, Istanbul is currently bidding for the2020 Summer Olympics. Shopping in Istanbul is most likely the least expensive in entire Europe, food is varied and exquisite combining unique tastes of European, Mediterranean and Middle Eastern cuisines -thanks to the Ottoman Empire once spanned from eastern Europe to Northern Africa and deserts of Arabia-, and the twelwe million who live here mingle with a wide variety of people walking its streets. Like a lost and forgotten kingdom, Istanbul is waiting to be discovered again. Istanbul is a very old settlement with its 8000 years history. Istanbul is a living museum with its historical sites in open air, one can continuously find new beauties and interesting places. Istanbul is also a meeting point for all the religions. Topkapi Palace : Is a large palace in Istanbul, Turkey, that was the primary residence of the Ottoman Sultans for approximately 400 years (1465-1856) of their 624-year reign. Hagia Sophia is open for visit every day except Mondays. The winter visiting hours for the Hagia Sophia are from 09.00 to 17.00, with the final entry being at 16.00. During the summer, the visiting hours are between 09.00 and 19.00, with the final entry being at 18.00. Passes are available at the box office in the museum. 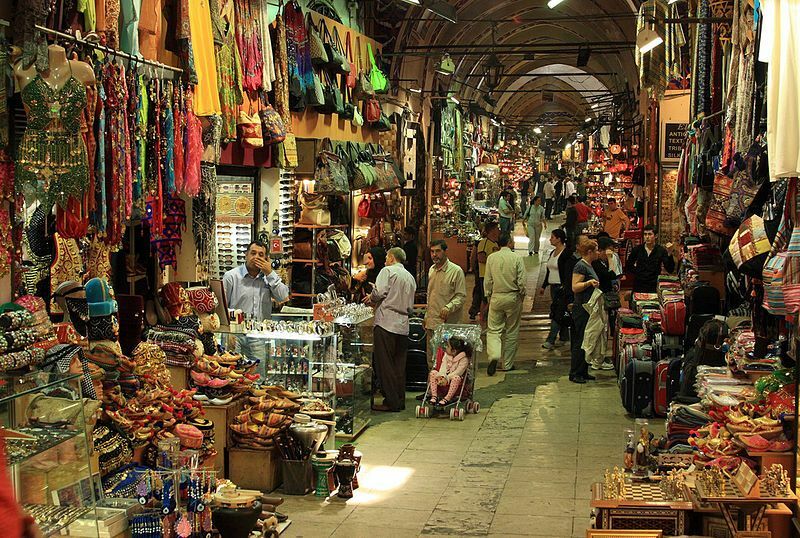 The Grand Bazaar (Turkish: Kapalıçarşı, meaning “Covered Bazaar) in Istanbul is one of the largest and oldest covered markets in the world, with 61 covered streets and over 3,000 shops which attract between 250,000 and 400,000 visitors daily. The construction of the future Grand Bazaar’s core started during the winter of 1455/56, shortly after the Ottoman conquest of Constantinople. Sultan Mehmet II had an edifice erected devoted to the trading of textiles. 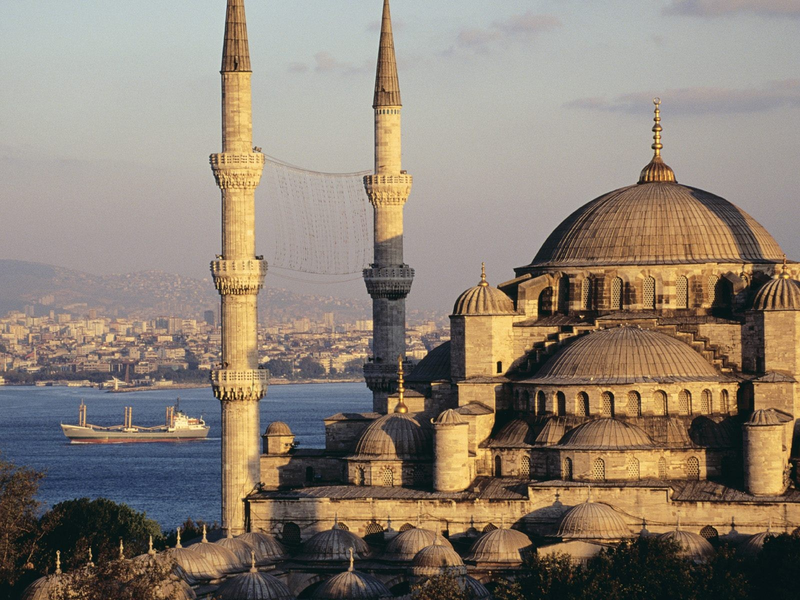 The Sultan Ahmed Mosque (Turkish: Sultanahmet Camii) is an historical mosque inIstanbul. The mosque is popularly known as the Blue Mosque for the blue tiles adorning the walls of its interior. 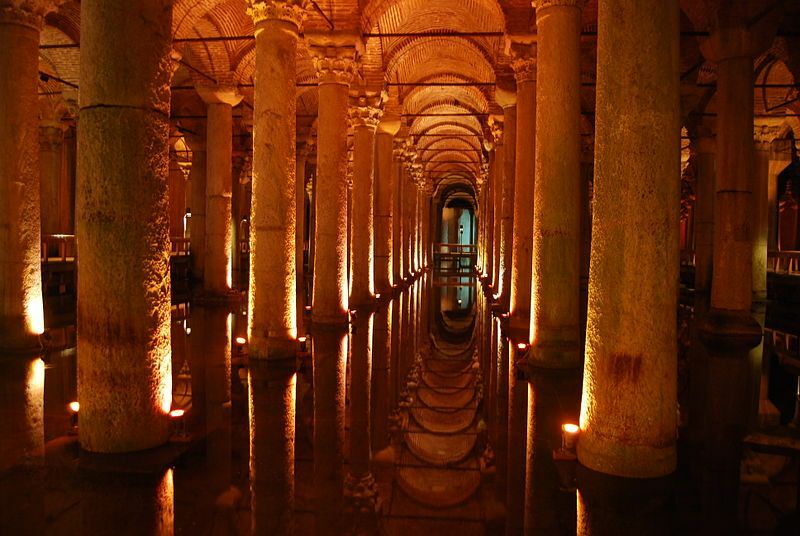 The Basilica Cistern , is the largest of several hundred ancient cisterns that lie beneath the city of Istanbul (formerly Constantinople), Turkey. The cistern, located 500 feet (150 m) southwest of the Hagia Sophia on the historical peninsula of Sarayburnu, was built in the 6th century during the reign of Byzantine Emperor Justinian I. The name of this subterranean structure derives from a large public square on theFirst Hill of Constantinople, the Stoa Basilica, beneath which it was originally constructed. Before being converted to a cistern, a great Basilica stood in its place, built between the 3rd and 4th centuries during the Early Roman Age as a commercial, legal and artistic centre. The basilica was reconstructed by Ilius after a fire in 476. Ancient texts indicated that the basilica contained gardens, surrounded by a colonnade and facing the Hagia Sophia. According to ancient historians, EmperorConstantine built a structure that was later rebuilt and enlarged by Emperor Justinian after the Nika riots of 532, which devastated the city.